Asia is without doubt one of the best regions of the world for an exciting multi-country holiday. With so many countries relatively close together, it seems almost like a wasted opportunity to see only one. The problem is – as always – which countries should you see? As Asia experts, we have years of experience planning trips across the continent, so we can shed a little light on the most popular places and best cities for multi-country holidays in Asia. We can also tell you about how to narrow down your selection, whether you’re after a “theme” holiday or want as much contrast as possible on your trip. Included are some of our favorite multi-country Asia vacations to give you inspiration. It all depends on what you consider a good holiday to begin with. Do you like beaches, hikes, museums or a mix of all three? Would you like an Asia trip with a foodie theme, so you can taste all the best cuisines across the continent? Are you a history buff, seeking to explore the ancient civilizations spread across the Asian continent? Or perhaps nature is more your thing and you’re looking for an eco-friendly tour that showcases spectacular wild habitats and their inhabitants. When you’ve figured out how you want to spend your trip, there are other things to consider. Visas and border crossings need to be accounted for, especially if you want to see a lot in a short time. Cross-country transport is also a consideration; are there ways you can maximize your travel so that getting from country A to country B is a highlight of the journey, rather a necessary evil? You also have to be mindful of your timing. High-season beach weather in Thailand is the snowy season in Japan. Local festivals and holidays should also be factored in so you’re not arriving in Vietnam on the first day of Tet or trying to take a train from Beijing during Chunyun. Once you’ve ascertained your “theme” and your time frame, it’s time to narrow down your options. To give you a little inspiration, we’ve compiled a list of 10 of the best multi-country holidays in Asia, covering a range of tastes and travel styles. Many travelers, especially first-time visitors, want to see the most famous sites of Southeast Asia on a single tour. Perhaps they were one of the 20 million visitors to Bangkok in 2017 and want a more indepth view of the region, or perhaps they want to see glittering Buddhist temples and ancient fallen kingdoms. 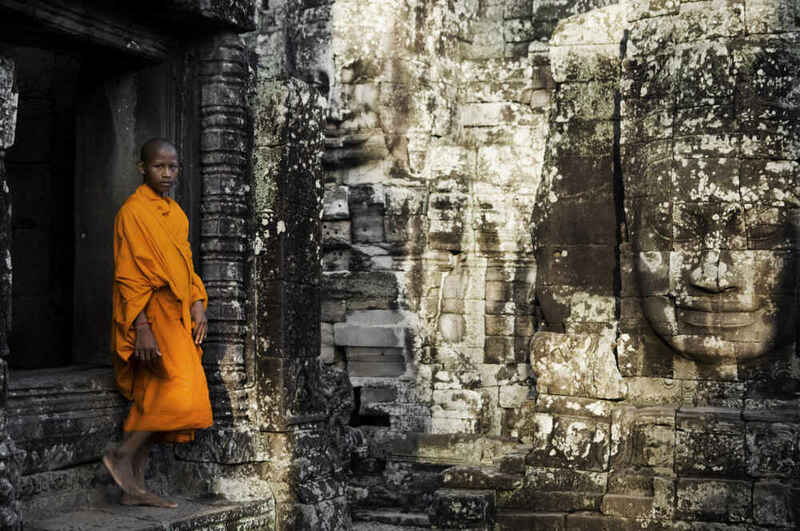 A tour that traverses the capitals of Thailand, Laos and Cambodia is a great way to delve into local history and culture. There are many similarities between these three countries at surface level, but a multi-country trip like this can expose the nuances of each culture to reveal three proudly distinct nations. Compare modern capitals with ancient kingdoms, see how Buddhist temples differ, cruise the countries’ rivers, see their museums and learn about their local handicrafts. national cuisine. This 12-day, 11-night tour begins in Bangkok, giving you time to take in the capital’s most famous sights – the Grand Palace and the home of the reclining Buddha, Wat Pho – getting you around the city via river ferry, canal boat and tuk tuk. Next it’s off to Luang Prabang, where you swap bustling streets with serene mountainscapes, before heading to Vientiane, the smallest capital city in the world. In Cambodia, you’ll be charmed by the capital, Phnom Penh, before heading to Siem Reap to see an ancient capital on the grandest scale at Angkor Wat. One of the most iconic rivers of Asia, the mighty Mekong winds its way from tributaries in the foothills of the Tibetan Plateau, through China, Myanmar, Thailand, Laos, Cambodia and Vietnam. An important trade route between China and Southeast Asia, the Mekong is yet a difficult waterway to navigate, thanks to seasonal variations in depth and flow, waterfalls and rapids. For the traveler, it presents the exciting opportunity to journey off the beaten path. It affords a more relaxed pace, so you can take time to appreciate the changing scenery as you float by in the time-honored fashion of riverboat cruising. You’ll see parts of each country normally hidden from a visitor’s view, observing the local day-to-day life of river communities. 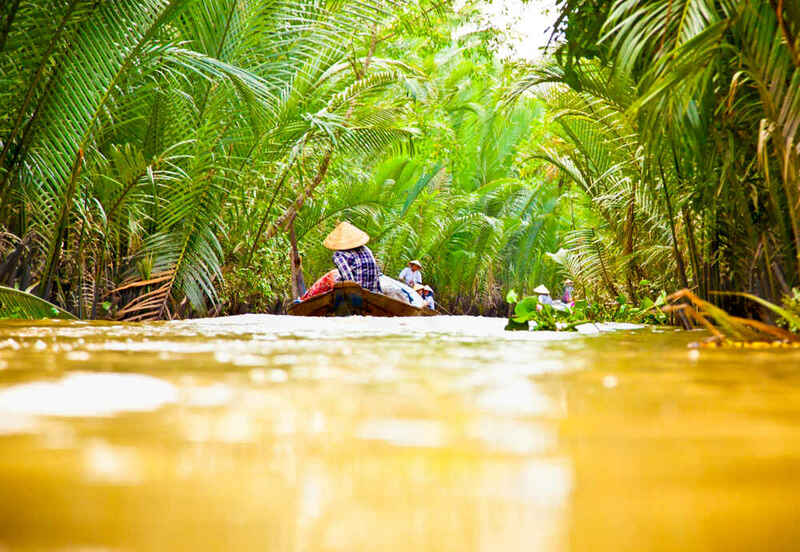 From the languid landscapes and rare dolphins of Laos to floating markets bursting with vibrant color in Vietnam, the beautiful things you’ll see and the diverse experiences you’ll have on a Mekong River journey make this one of the best multi-country holidays in Asia. This epic 17-day, 16-night journey begins in picturesque Kengtung in the mountains of Shan State, in the far eastern reaches of Myanmar. From here, you’ll make your way down through Thailand, Laos, Cambodia and Vietnam, traveling on the Mekong, overland and by taking short flights. You’ll stop in myriad little towns and some big cities along the way, meeting local communities, enjoying cultural activities and even taking part in sustainability projects. Temples, markets, ancient ruins, palaces, museums, serene countryside and idyllic shores are all part of this amazing multi-country trip. A foodie tour through Indochina is one way of getting to know local culture on a profound – and delicious – level. There is much to learn about a country through its food, and what more enjoyably indulgent way to experience a place then through its best cuisine? This tour from Vientiane, Laos through Cambodia to Halong Bay in Vietnam, combines must-see sights with must-eat dishes. Certain Vietnamese dishes have already won worldwide acclaim (looking at you, pho and banh mi) but on this trip you’ll also learn about Laos food. For instance, did you know that many of your favorite Thai dishes originated in Laos? Add in the influence of French gastronomy and you have a foodie tour with true breadth – and good wine. Eat through seven cities and three nations on this multi-country Asia holiday, peppered with iconic experiences: a meal at Angkor Wat, dinner about a private boat on Halong Bay, a Hanoi city tour by Vespa, a cooking class in Luang Prabang. This 14-day, 13-night food odyssey traverses through Laos, Cambodia and Vietnam, letting you relish local delicacies in every destination. A trip like this wouldn’t be complete without lashings of history and culture, so in each stop you’ll also have the chance to take in the most iconic sights – Angkor Wat in Siem Reap, the Temple of Literature in Hanoi and the staggeringly beautiful limestone karsts of Halong Bay. The best multi-country holidays in Asia don’t have to be long ones. If you’ve got less than a week, you probably want to only hit up the highlights – and this two-country tour does just that. For many travelers to Southeast Asia, Thailand is at the top of the list of must-see places. 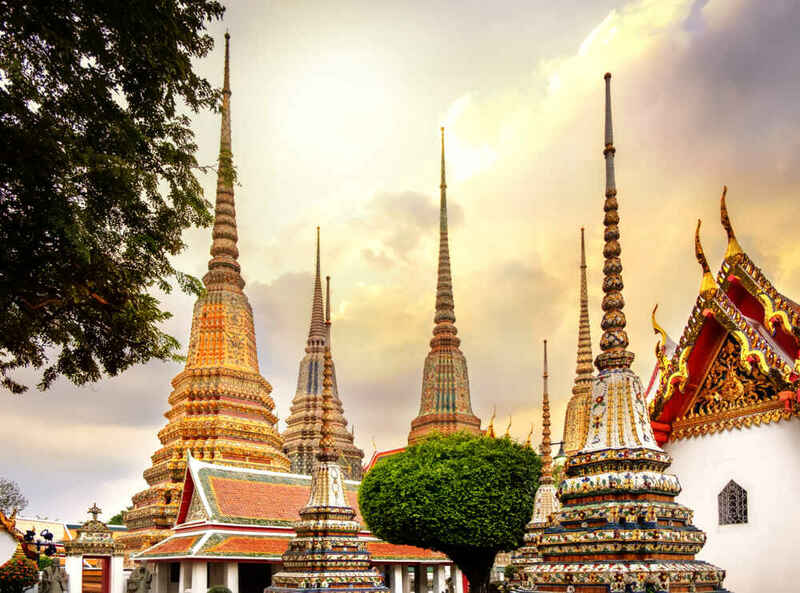 Bangkok itself is worthy of indepth exploration, and this 5-day 4-night tour gives you a couple of days in ‘the Big Mango’ to see the main sights such as the Grand Palace and Wat Pho. You’ll also have some time for choice of different urban expeditions, from cruising the canals of Thonburi to exploring vibrant Chinatown. Next, it’s off to Siem Reap, where you’ll waste no time getting to the most famed of ancient temple complexes, Angkor Wat. You’ll explore the site with a guide, who can explain the building’s intricate architecture and countless bas-reliefs. The next morning, you’ll rise early to see another famous local landmark, Ta Prohm, wreathed in vines and roots and tinted green with moss. The smaller Banteay Srey and the famous Angkor Thom are also part of the day’s travels. In the evening, you’ll enjoy a unique performance by local troupe, Phare Circus, whose lithe acrobatics tell a deeper story about Cambodian society. On the final day of your trip, you’ll enjoy a boat cruise on the Tonle Sap lake. You’ll cruise to an local village where the school, temple, houses and even an ice factory are all over water. You’ll have lunch in traditional stilt house over the river then return to Siem Reap in time to do some souvenir shopping before your onward transfer. China is so vast and multi-layered it would take you several months, if not years, to see all its best bits. This 7-day, 6-night trip condenses “the middle Kingdom’s” most famous sights into an achievable short trip that finishes up in Hong Kong – almost like a trip through time, from the Ming Dynasty to the future. This trip naturally begins in Beijing, where you’ll spend a few days to take in the city’s most famous landmarks. 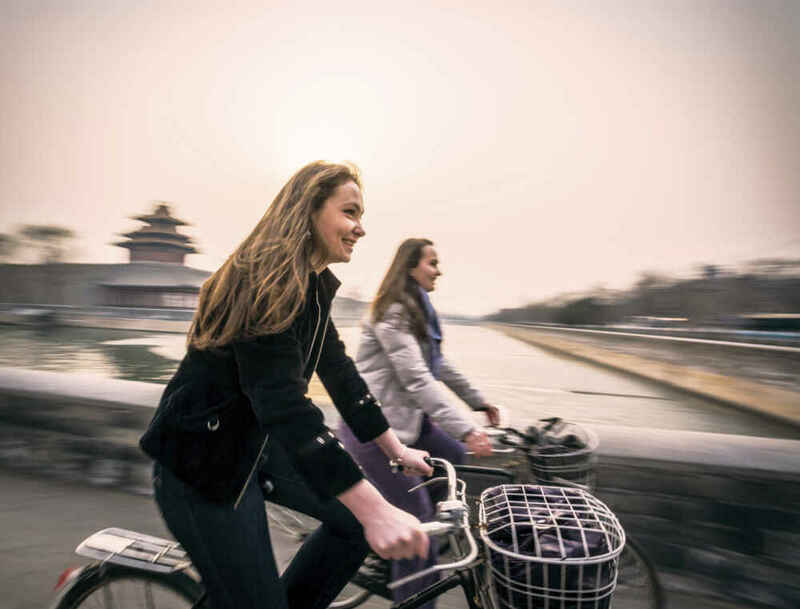 You’ll wander the Forbidden City, visit the Great Wall and explore the Temple of Heaven – all with a knowledgeable local guide. On day four, you’ll delve into more contemporary Chinese culture with a trip to the art district of 798 in Dashanzi, where you’ll go gallery hopping and checking out all the area’s designer boutiques and cool cafes. Your next stop is Hong Kong, where you’ll get to see the old alongside the futuristic. 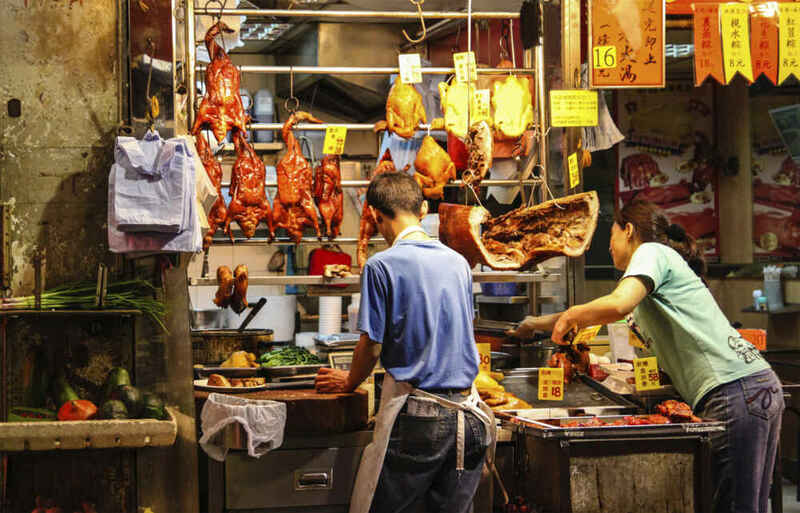 In Mongkok, you’ll wander through the city’s famous markets, between its shop houses and towering apartment blocks, contrasting these traditional scenes against the gleam of modern skyscrapers. On the final day of your journey, you’ll take another expedition into history and spiritualism with a trip to Lantau Island to see the famous bronze Tian Tan Buddha. After heading up the mountain, you’ll visit Tai O, a traditional fishing town nestled in the lush hills of the island. These top 5 multi-country Asia holidays of ours are just the top of the iceberg. 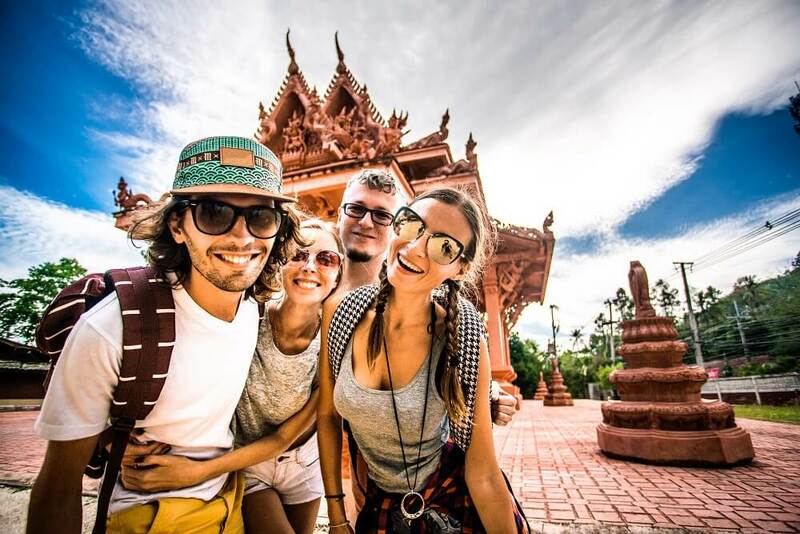 If you have a multi-country trip you’d like to recommend, or have some tips about traveling multiple countries in Asia, let us know in the comments.